Marayke Jonkers knows how challenging life can be. From an accident that paralysed her as a baby to becoming a 3 time Paralympic medallist and world record holder, Marayke’s is a story is of daring to dream big, setting goals and never giving up no matter what obstacles life throws in your path. Marayke shares her medal winning techniques for success and how to get the best out of yourself in any situation. We all face obstacles, crossroads and change but we also all have choices. In this book, Marayke delves deeply into how she found the inner strength to keep going and not only survive, but to thrive. 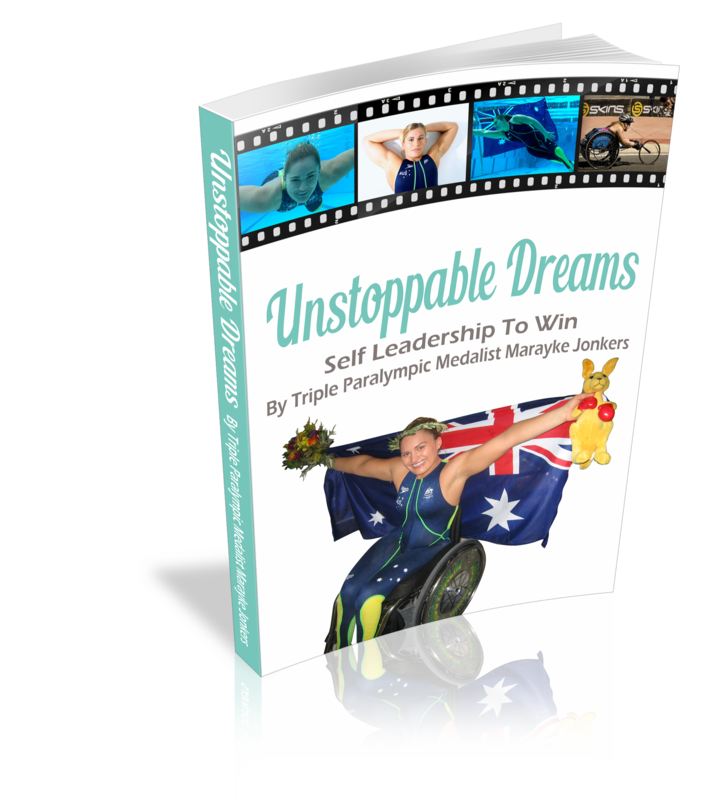 A rare insight into the life and mindset of an elite athlete, Unstoppable Dreams is a book you wont be able to put down. AND a personally autographed copy of the book. All pre-sales profits go towards Marayke’s fundraiser for a wheelchair accessible van- so you help a good cause at the same time as buying a good read. $36.00 including postage and handling within Australia. International postage additional.